We’re nuts about Lark Ellen Farm! They offer delicious Grain Free Granola Bites and Trail Mixes that you’ll want to make part of your TrailblazerGirl, healthy diet. This is not your typical granola. They have substituted a mix of almonds, walnuts, cashews, sunflower seeds, and pumpkin seeds for the standard oats that you find in most granolas. And these nuts and seeds are raw, sprouted, and gently dehydrated, making them super crunchy and easier on your digestive system, which means that all those nutrients are more readily available for your body to use. How smart is that! 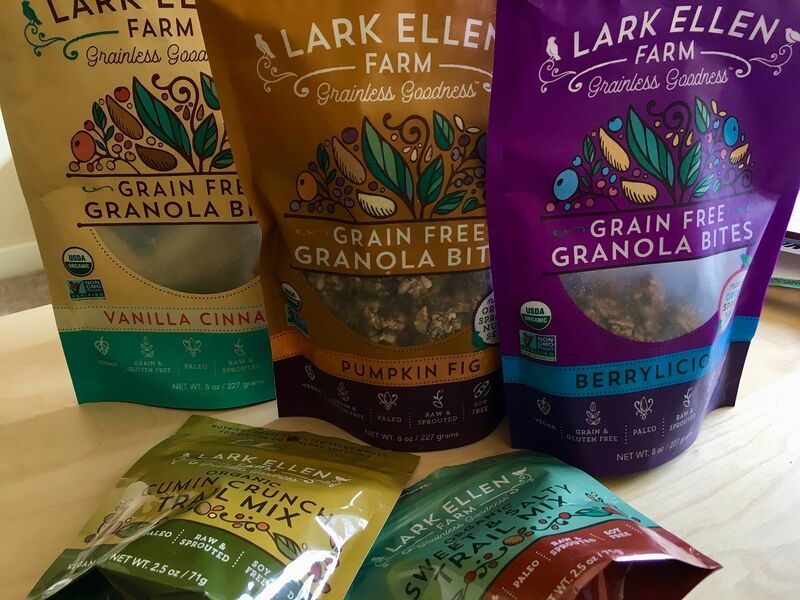 Besides being grain free, all the Lark Ellen Farm goodies are paleo and vegan friendly, soy free, dairy free, gluten free, organic, and free of any fillers or additives. Choose from 4 yummy Grainless Granola Bite flavors, including Vanilla Cinnamon, Berrylicious, Pumpkin Fig, and Cacao Cherry, and 2 flavors of Trail Mix, including Cumin Crunch and Sweet & Salty. Handcrafted grainless goodness from our friends at Lark Ellen Farm!